Forty years ago, it got its start as a small restaurant in a former auto repair shop. Now, it's the D.C.-area's only three-star Michelin restaurant. Here's the breakdown of the 2019 Michelin star restaurants. WASHINGTON — The release of the star-rated restaurants in the 2019 Michelin Guide brought a wave of excitement to D.C.’s culinary community Sept. 13. The Inn at Little Washington became the area’s first three-star restaurant since the Guide’s D.C. launch in 2016. The two previous D.C. Michelin Guides awarded Patrick O’Connell’s classic, yet quirky, Washington, Virginia dining destination two stars, along with Aaron Silverman’s Pineapple and Pearls and José Andrés’ Minibar. Both Pineapple and Pearls and Minibar maintained their two-star status in the 2019 Michelin Guide, and remain the only two restaurants in the two-star category. Thirteen D.C. restaurants were awarded one star, with Ryan Ratino’s Bresca and Robert Wiedmaier’s Siren new to the list. No restaurants were stripped of a star in this year’s review. “Our inspectors are especially impressed with the consistency of the restaurant scene in D.C.,” said Michael Ellis, international director of the Michelin Guide, in a news release. 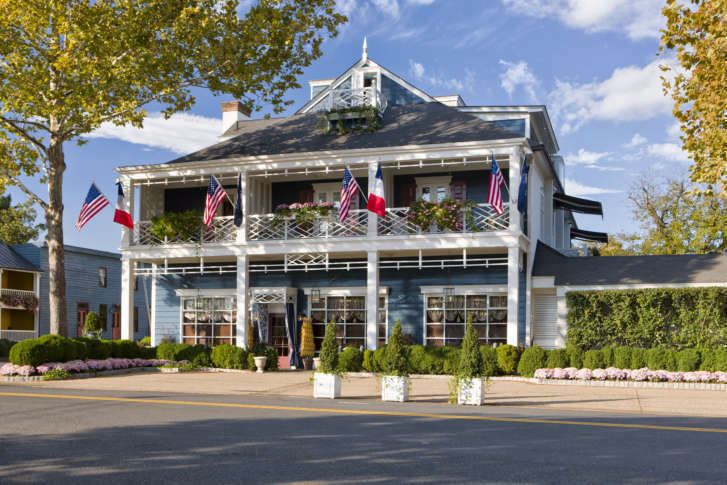 The Inn at Little Washington is celebrating its 40th anniversary this year. O’Connell, chef and proprietor, began building his dream restaurant in a rented space that was previously an auto repair garage. It’s since evolved into a luxurious five-star retreat, and continues to expand. The Michelin Guide also publishes a Bib Gourmand, or “cheap eats” list. Thirty-nine D.C. restaurants were included in this category in the 2019 edition, up from 22 last year. Anonymous inspectors review the restaurants and judge them on a number of criteria, including quality of the ingredients used, mastery of flavor and cooking techniques, and consistency. D.C. is one of four cities in the U.S. to have a Michelin Guide. Others include New York, Chicago and San Francisco. Michelin publishes 31 other guides throughout Europe, South America and Asia.